Our schools used to be an elevator to the middle class, now they’re stalled on the ground floor. They’re like Soviet-era department stores that are run for the benefit of the clerks and not the customers, for the teachers and the administrators and not the students. You know why other countries do better on K through 12? They let parents choose where to send their own children to school. That’s called competition. It’s called the free market. And it’s what the other party fears. 1. Many Solo Moms are proud to be teachers. With the cost of child care skyrocketing, teaching is one of few professions that enables moms to have a similar schedule to their kids. The workday might not end when the bell rings, but it is possible for a teacher to get a lot of her extra work done at home. Taking down an entire profession is rude and inappropriate, especially since most teachers are selfless, hardworking, and dedicated to their students. 2. Kids and Solo Moms should feel good about teachers. Kids spend more time at school than they do at home. Most teachers take special care to know their students and familiarize themselves with their circumstances. If you are a Solo Mom, it is likely you count on your child’s teacher to provide the same nurturing and support that you do at home. Your child’s teacher tries to be a source of support and motivation for your child. When Trump accuses teachers of being in the profession because of self-interest, he undermines that special connection teachers and students develop during the school year and beyond. 3. Public schools provide more than an education. For Solo Moms, this can be a lifesaver. School counselors can help students deal with life-changing events that might interfere with their ability to learn. Teachers can identify learning disabilities or other problems that might merit services from speech pathologists, occupational therapists, and other on-site specialists. Some students eat two of their three meals a day at school. Trump, Jr., was wrong to malign community institutions that serve students and their families. recent New York Times report. 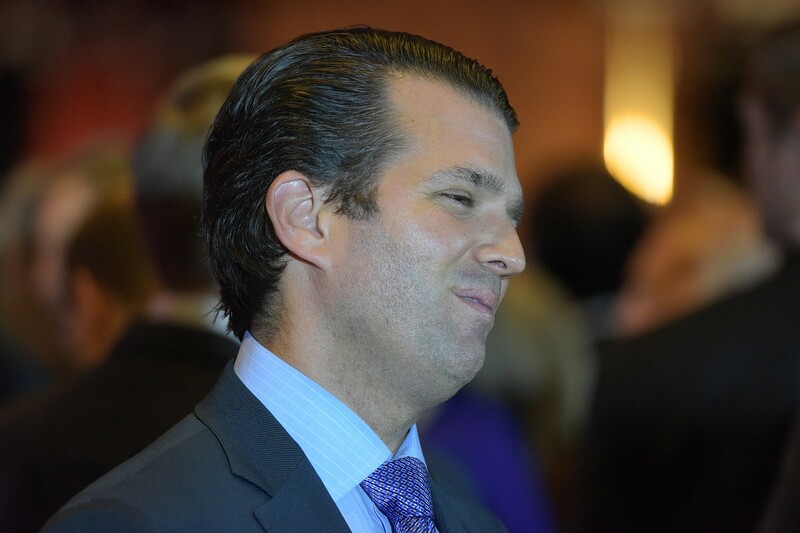 Trump, Jr., is leading Solo Moms to believe that school choice will solve their communities’ problems when, in reality, charter schools run by for-profit companies are often worse than traditional public schools. 5. The Trumps set a poor example for kids. Solo Moms try to raise their children to respect others, to be good people. The Trumps make it hard for Solo Moms to do that when they use their public platform to spew disrespect and hate-filled comments. For a child who is less than enthusiastic about school, Trump, Jr., provides a convenient excuse for kids to “check out.” The elder Trump’s rhetoric is even harsher and more abusive. Name-calling and disrespect have no place in a presidential race. Trump, Jr., and his father might have some ideas for improving public schools. Many teachers and parents are frustrated with No Child Left Behind, Common Core, and other bureaucratic decisions that teachers end up struggling to implement. Regardless of his ideology and philosophy on education, denigrating teachers was wrong. There is nothing wrong with working for a public school or attending a private school. Shame on the Trumps for suggesting otherwise.